In honor of the referendum today on Scottish independence, here's an edit of a blog post we wrote back in 2009 about Archibald Kennedy, who lived in a grand house at One Broadway and would later become the 11th Earl of Cassilis (and is James's distant relative). Today, the building at One Broadway is the former headquarters of International Mercantile Marine, JP Morgan's shipping and passenger ship company. 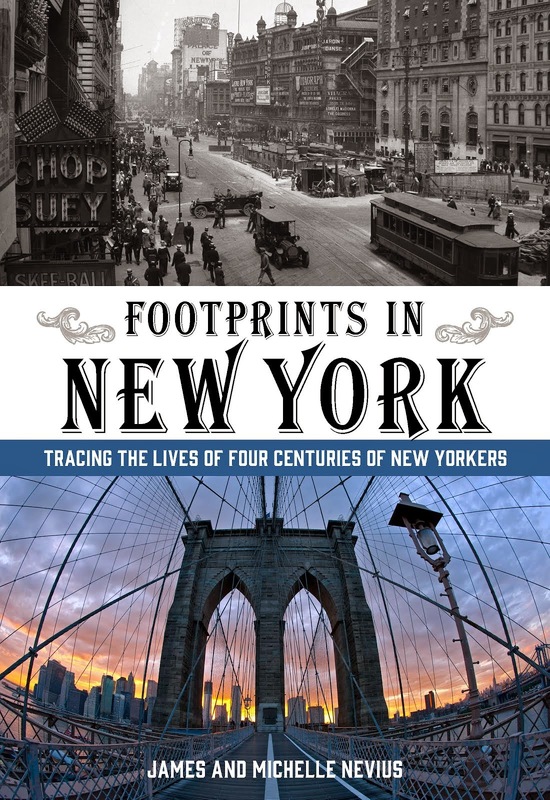 But back in the 18th century, the base of Broadway was home to Archibald Kennedy, New York's receiver-general (i.e., the customs collector). 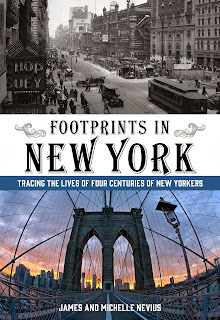 "[I] spied as I peeped out the Bay something resembling a wood of pine trees trimmed.... I declare I thought all of London was afloat." During the war, Kennedy left the city and the house became George Washington's headquarters during the planning of the Battle of Brooklyn, which took place in late August 1776. When the British captured New York, the home -- which escaped the Great Fire of 1776 -- was used by the British army. After the Revolution, the house was rented by Isaac "King" Sears. A prominent member of the Sons of Liberty, Sears was was involved in the Stamp Act Protests in 1765 and the Battle of Golden Hill in 1770, a skirmish just north of Wall Street that some call the first bloodshed of the Revolution. Sears paid £500 a year, probably the highest rent in the city. In 1792, Kennedy's distant cousin, the 10th Earl of Cassilis, died without an heir and the title passed to Archibald. It is unclear is Kennedy had moved back to New York after the British lost the Revolution; we do know that upon the death of the 10th Earl, Kennedy moved to Scotland. However, he died just two years later. His son (another Archibald) became the 12th Earl and, later, the First Marquess of Alisa. 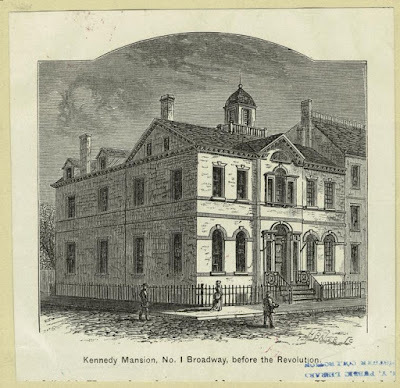 Back in New York, Kennedy's house had come to be owned by John Watts (Kennedy's second wife's brother), a successful merchant and founder of the Leake and Watts Orphan House in Morningside Heights. By 1882, the home had become a boardinghouse and was demolished to make way for the Washington Building (which was later remodeled as the current International Mercantile Marine building). When the Washington Building was erected, it had more office space than any building in New York.